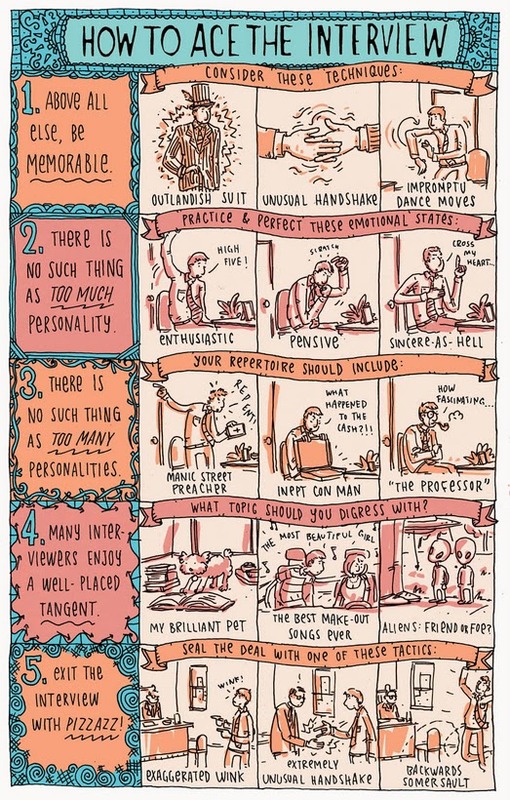 I've got my first real job interview tomorrow and this comic by Grant Snider made me feel a little better about it. I want to try wearing a subtle amount of makeup for it, not too bold since that wouldn't be too appropriate. Here's to hoping it goes well!